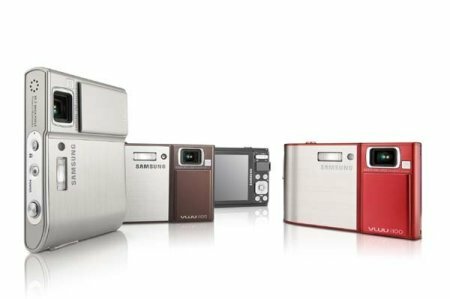 Samsung Techwin has rolled out a couple of new digital cameras known as the i100 and the i80 to its VLUU i Series lineup. Meant for beginners as well as entry-level shutterbugs nicknamed as a ‘Digital Nomad’ by Samsung, both the VLUU i100 and i80 support a multi-charging function which allows data transmission and battery charging through USB without the need and hassle for an adapter. In addition to capturing pixel perfect pictures with its 10.2 megapixel sensor and 3x optical zoom lens, other shared features include a video recording capability, MP3 playback, a text viewer and voice recording. The VLUI i100 will come in silver, dark gray, brown and red colors while the VLUU i80 has only black and silver as your choices. The former will retail for less than $400 while the latter lies a shade under $300.